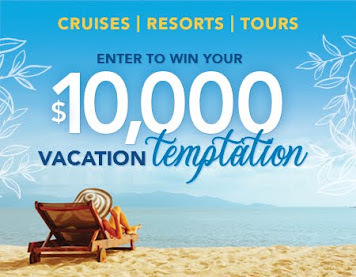 Starting this coming Monday, April 29th, Royal Caribbean has a Family Fun Promotion that offers the above amenities when you book a 6+ Night Caribbean cruise sailing 7/1/13 - 12/31/13. We are sweetening the deal by including an onboard credit up to $125 per stateroom depending on the type of accommodations. Click on the image below to learn more. For those of you that aren't familiar with Johnny Rockets, they have the best burgers, fries, onion rings, and shakes at sea. Normally there is a minimal cover charge per person and shakes are extra. 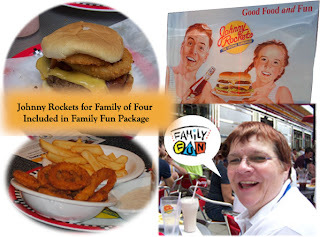 So this is a great way to add some fun and food with the whole family during your cruise. 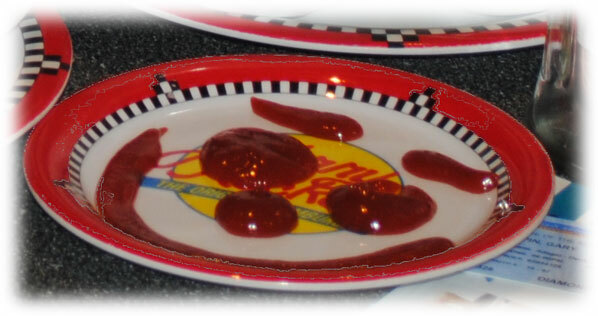 Even the ketchup is smiling about this Johnny Rockets offer. When you add in the Soda Package, Dinner for Two in a specialty restaurant and the onboard credit, we think you will agree that this is indeed some Family Fun. 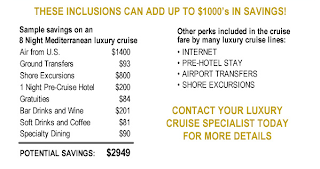 When you consider the all-inclusive benefits and perks that a luxury cruise offers, you may be very surprised by the savings compared to the cost of a premium cruise with added extras. Cruisers know about the benefits of luxury cruising such as the higher level of service, the more intimate environment, the extra attention to detail. 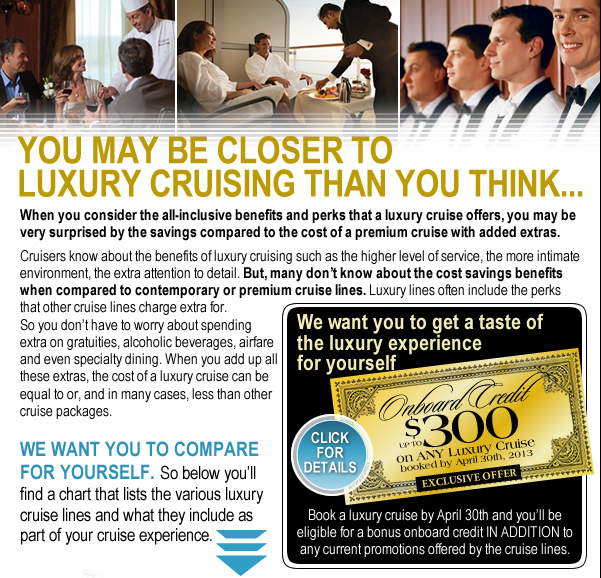 But, many don't know about the cost savings benefits when compared to contemporary or premium cruise lines. 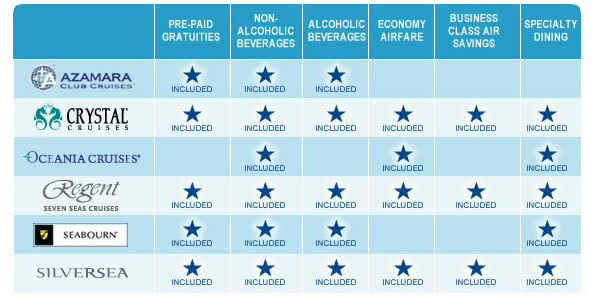 Luxury lines often include the perks that other cruise lines charge extra for. 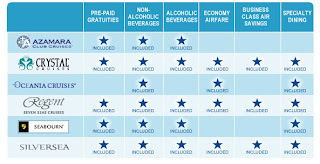 So you don't have to worry about spending extra on gratuities, alcoholic beverages, airfare, and even specialty dining. 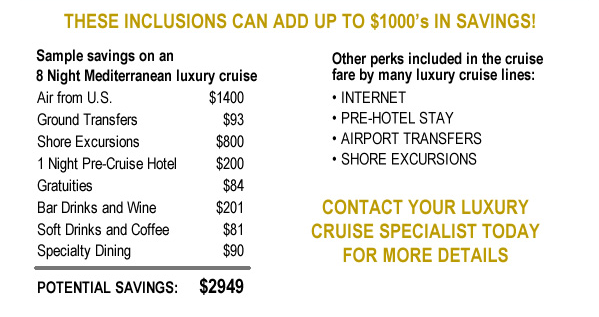 When you add up all these extras, the cost of a luxury cruise can be equal to or, in many cases, less than other cruise packages. Decorating the cabin door is a tradition that guests on Disney Cruise Line's ships have long enjoyed. You may have heard about fish extenders. 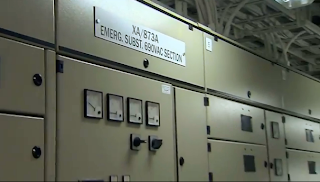 These organizers would be hung over the doorway or on the fish which the crew uses for delivering your onboard "mail". Disney has just announced a policy change that goes into effect with upcoming sailings. Due to damage caused by adhesives, tape and the hanging organizers, the line is restricting decorations to magnets only. There will be a warning if guests don't comply and if that is ignored, a $100 fine will be imposed. For those that aren't aware, the organizers were used for gift exchanges with fellow passengers. Here is the text of a letter that Disney will start putting in the cabins within the next two weeks. As the letter indicates, you can purchase magnets onboard for your door decorating. If you plan to exchange gifts with your fellow passengers, be sure it is of the magnetic variety or find some other way to get together for the exchange. Speaking of magnets, if you want to add some fun to your cruising experiences, why not start a magnet collection. Read more about this in our article on the subject. We are glad that you have joined us aboard the Disney (Choose Ship)! As you may be aware, it is important to us to keep our facilities looking their best for all our guests. As part of our commitment to this area of focus, we ask that you do not affix anything to your stateroom door utilizing tape or any adhesive, including removable gel adhesives. We have found that these adhesives damage the finish on our stateroom doors; therefore we ask that you limit door decoration to those of the magnetic variety. Concurrently, we ask that guests not use over-the-door hanging organizers as they have been found to scratch and/or disfigure stateroom doors and trim. Guests found with damaged doors are assessed a $100 damage fee per incident to cover the cost of repairs. Your attention to this matter will greatly assist us in keeping our shipboard environment looking ship-shape. Should you have any questions, please feel free to contact Guest Services, Deck 3 Mid-ship. If interested, magnetic door decorations are available for purchase in our merchandise area. For your convenience, magnetic strips are also available at Guest Services. We appreciate your cooperation and hope you have an enjoyable sailing. Bookings are now open on the 2014 Winter Caribbean season on nine ships, PLUS Panama Canal itineraries on Legend of the Seas®. What are the Cruise Lines Doing to Protect Our Environment? Today is Earth Day. For some it’s a day to reflect on the world around us and how it seems nature is hanging in the balance. If we are honest with ourselves, we will realize that we are all a part of the problem. Our livestyles have contributed to the state of the Earth and until recently, very little was being done about it. How does cruising impact the Earth? Each day thousands of passengers and crew take to the waves to visit remarkable places, ecosystems and species around the globe. If you look at our city streets, you'll realize that we aren't always the neatest people. Think about all the waste generated during a 7 day cruise. It takes a lot of fuel to move these floating cities from port to port. What impact do you think that has? How about your favorite under the water past-time of visiting the ocean reefs of the world. Do you thin the fish are happy to see you there? Are these floating cities, we call cruise ships, eco-friendly? 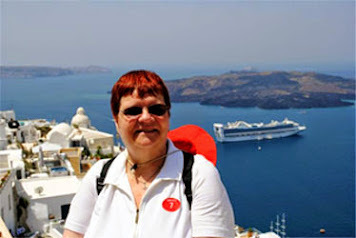 Today we turn our focus to programs which have been put in place by many of the CLIA member cruise lines. Here is a sample of what the major lines are doing in the name of protecting the earth. 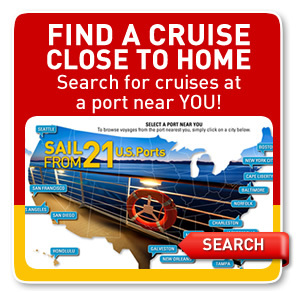 Consult the websites of your favorite cruise line to see what they are doing. Happy Earth Day! 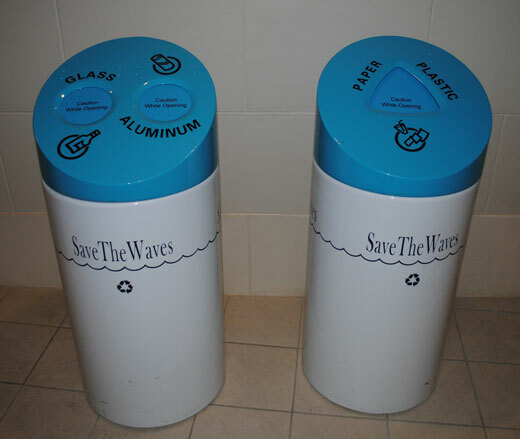 Royal Caribbean is committed to environmental stewardship not just today, but every day. Find out how we help keep our oceans blue by running green with the help of Jamie Sweeting, Vice President for Environmental Stewardship and Global Chief Environmental Officer. Royal Caribbean Is Celebrating Our Amazing Planet! Are You Celebrating Earth Day? We have a dedicated Environmental Officer on each of our ships to oversee our environmental stewardship policies and practices. We are committed to reducing our greenhouse gas emissions by one-third per person per day by 2015, from a 2005 baseline. In fact in 2010, these efforts translated into a 4.7-percent reduction in fuel consumption per average passenger cruise day over 2009 levels. 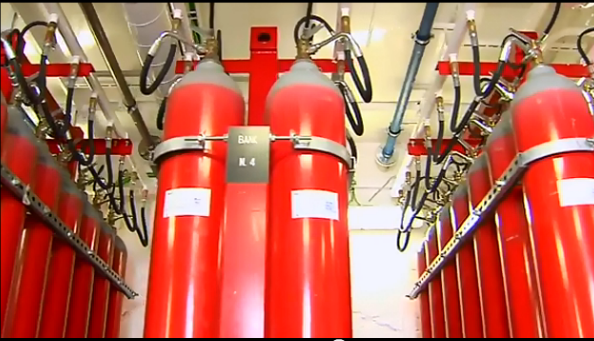 Our goal for 2011 is to reduce our fuel consumption by another 5.4 percent. In 2010, we reduced the amount of waste landed ashore from our ships to just 1.15 pounds per person per day, a reduction of 19 percent from the previous year and 47 percent from 2007 levels. As a point of comparison, the average solid waste footprint per person in the United States is approximately 4.3 pounds per day. In 1996, we launched the Ocean Fund, which supports marine conservation organizations in safeguarding the health of the world’s oceans. Since the fund’s establishment, we have contributed more than $11 million to 66 organizations around the world. Reduce, Reuse, Recycle - Reduce the generation of waste material, reuse and recycle wherever possible, and properly dispose of remaining wastes. In 1996, Royal Caribbean Cruises Ltd. (which operates Celebrity Cruises) established the Ocean Fund to support global marine conservation efforts. In collaboration with the Marine Conservation Institute - a national and globally focused nonprofit organization based in Washington State dedicated to maintaining healthy, living oceans - Holland America Line will debut an in-stateroom video series onboard all its 15 cruise ships highlighting the importance of ocean conservation. The "Our Marvelous Oceans" videos can also be viewed at http://www.cleanpix.com/cleanpix/portal/WSBw-r2B-nb7 or at the Marine Conservation Institute website at www.marine-conservation.org. 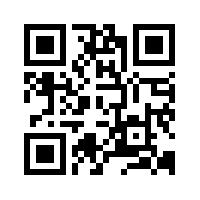 Find more information on Twitter, Facebook and on the blog Marine Conservation News. Happy Earth Day! At Norwegian we are so passionate about preserving our oceans that we’ve made environmental protection one of our core company values. We’re leading the cruise industry with the innovative environmental policies and technologies we’ve implemented—from garbage, waste and recycling programs to preventing incidents involving pollution to reducing our operational impact on the environment—just to name a few. In 2011 alone we recycled: 345 Tons of cardboard, 576 tons of scrap metal, 2,035 tons of glass, 720 tons of aluminum and 476 tons of plastic! Carnival Cruise Lines canceled two additional five-day sailings of Carnival Triumph to make repairs caused when the ship was torn away from a shipyard in Mobile earlier this month. The ship will return to service June 13 rather than June 3. The additional cancellations are the result of damage to the ship when it broke away from the pier earlier this month. This has delayed the overall repair schedule by 10 days. Attempts to return the ship to the shipyard failed and repairs are being done at the Mobile cruise terminal. Final repairs will be completed in The Bahamas. Passengers on the latest canceled sailings will receive full refunds, reimbursement for travel expenses and future cruise discounts of 25 percent. If you missed what happened earlier this month, we have included Carnival's update from their Facebook page. Earlier this afternoon, due to strong winds that reached speeds exceeding 70 miles per hour during a severe storm in Mobile, Ala., Carnival Triumph, which was in wet dock at a Mobile shipyard, broke away from its moorings. The ship drifted, and was secured. With the assistance of tugboats on site, the ship has been moved to the Mobile Cruise Terminal. Lines have moored the ship, and, as a precaution, tugboats will remain alongside the vessel as well. All of the approximately 600 crew and 200 contractors who were onboard the vessel are safe and have been accounted for through a roll call. There are no reports of injuries. While assessment of damage to the ship is ongoing, initial indications suggest the damage is limited. According to reports, two shipyard employees on an adjacent pier fell into the water. One has reportedly been rescued by the U.S. Coast Guard and the search continues for the second. Our thoughts and prayers are with the missing shipyard employee and the family. Does the Ship Make Its Own Power? 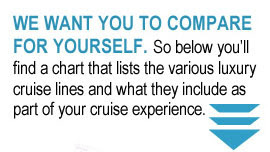 If you've cruised on Carnival before, your Cruise Director probably answered this question in one of his talks. Of course everyone knows that the ship has a long extension cord that runs all the way back to Miami. Even if you've never cruised before, you've recently heard news stories about various operational issues onboard Carnival Cruise Lines' ships. While these situations are rare, it does afford the opportunity for review of the fleet operations and to learn ways to improve. Carnival Cruise Lines has done just that, and has announced an ambitious fleetwide program. Watch this video to see President and CEO Gerry Cahill explain the improvements and then read about the highlights below. Lines, and those we will continue to make, will reinforce our ability to consistently deliver the customer experience that 10 million people every year have come to expect from us across our fleet of 101 ships. Absolutely nothing is more important than the safety and comfort of our guests and crew, and we will use the full resources of our company to meet that commitment,” said Micky Arison, Chairman and CEO of Carnival Corporation & plc. We applaud Carnival for taking these steps to further demonstrate their commitment to safety of their guests, crew, and ships. Even in the wake of these events, the overall Cruise Industry still remains the safest means of travel. 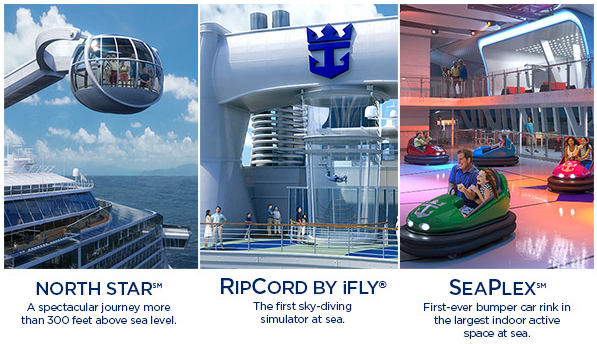 Royal Caribbean International® unveils a Quantum leap forward in cruising. With newly designed staterooms, innovative features, and transformative venues, Royal Caribbean's newest ship, Quantum of the Seas, elevates cruising to an entirely new level. Sailing Fall 2014 from the New York area. 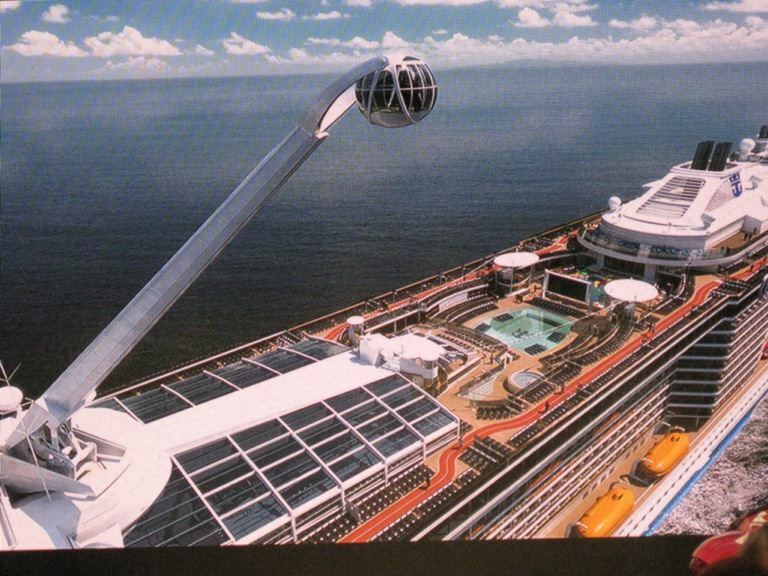 If those myths haven't already been shot down by other Royal Caribbean cruise ships such as the two largest ships at sea, Oasis of the Seas and Allure of the Seas, certainly the latest ship, Quantum of the Seas will definitely knock a home run out of the park so to speak. Take a ride over the ship in the NORTH STAR SM more than 300 feet above sea level. Can you just imagine the view from that high up? If that doesn't satisfy your urge to sore, then try sky-diving onboard the ship. This new feature was inspired by the London Eye, but you don't need to go overseas to get a birds-eye view. Have you ever wanted to experience the sensation of flying through the air, but didn't have the guts to step outside of a perfectly good airplane? 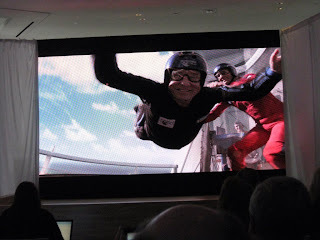 Well onboard Quantum of the Seas, you can satisfy your desires in this industry first sky-diving simulator at sea. Maybe you'd like to step inside the rink for some bumper cars or roller skating, both industry firsts? Quantum of the Seas has all your favorites, that you've grown to love about the Royal Caribbean brand, plus so much more. 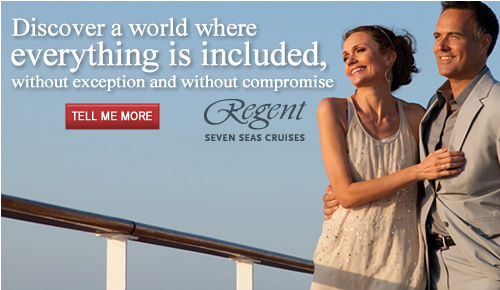 Hopefully we've peaked your interest in cruising a bit for those that haven't given cruising a try before. 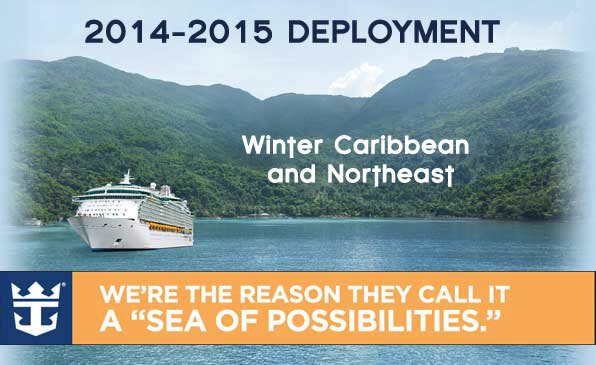 We're certain that experienced cruisers can't wait to experience what this new ship has to offer as well. Explore our microsite to watch videos and learn more about this new ship sailing next year. American Airlines spokesman Kent Powell said that the airline is trying to resolve the issues as quickly as it can. The company is providing updates on their website and Facebook page. That dreaded day is here - April 15th. 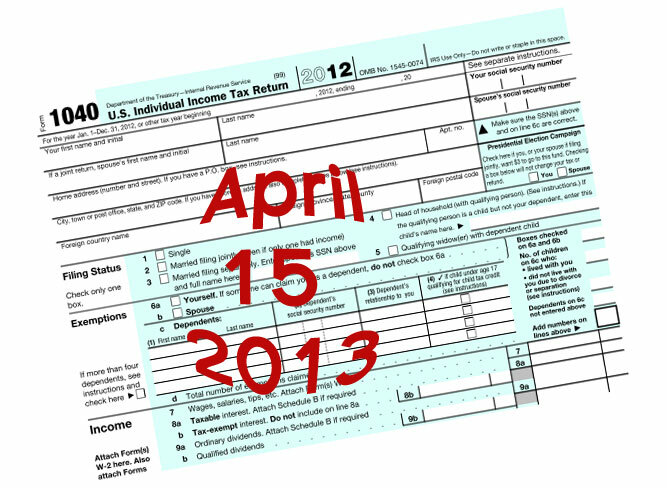 Hopefully, since you are reading this column, your taxes are already either in the mail or filed electronically. If not, time is running out (I don't mean to nag)... The sooner you hit the send button, the sooner you can start doing something fun (like planning a family get-away). 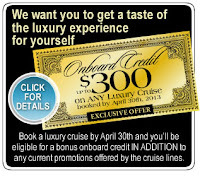 What better way to help the economy than to reward yourself and your family with a cruise vacation? Did you know that you can begin a cruise vacation from 23 different U.S. Cities? If you happen to live in one of those cities, you don't have far to go to get onboard a cruise ship. 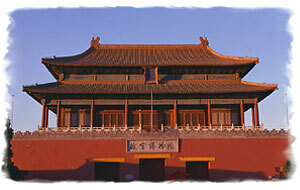 For others, a road trip or flight can bring you to the embarkation port of call. 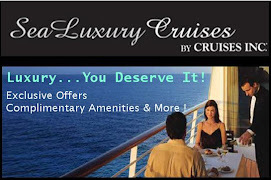 A cruise vacation is an excellent value since your lodging, meals, and onboard entertainment are included in the price. Did I mention you only unpack your bags once? 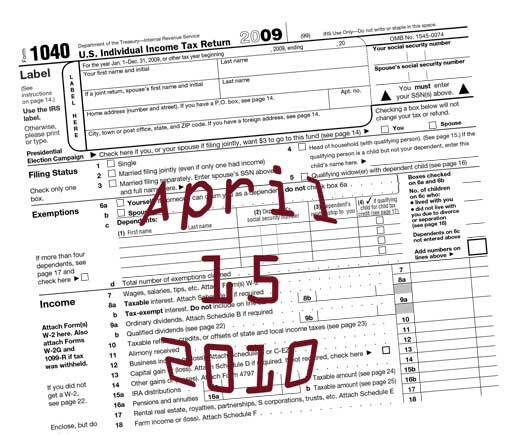 Assuming that you are getting a refund, and that you've filed electronically, you could receive your refund before the month is over. Why not put that refund to work for you by putting a deposit on a cruise leaving later this year or even next year. 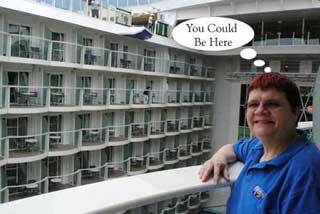 Schedules through next summer have been posted for most cruise lines. Booking early is the key to saving money on a cruise vacation. Due to supply and demand, last minute deals are few and far between. If you want to leave for your trip in May or June, I'd suggest that you make your reservations before you receive your refund check, as cabins are quickly being sold out. That might come as a shock to many of you, but people are booking early to take advantage of special pricing, so the odds of even finding a cabin at the last minute are low (especially if you need a cabin with more than double occupancy). What explanation is there for the high booking rates? 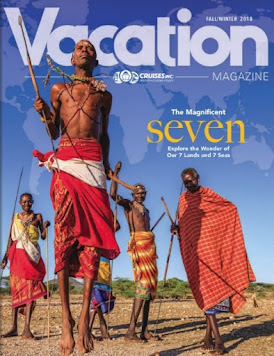 I believe there are several factors including pent up demand (previously postponed vacations) and the excellent value that a cruise vacation offers. If you are ready to start planning, the Cruise Finder tool can help. Costa Cruises has made a €1 million ($1.3M) plea bargain settlement with an Italian court to limit its criminal liability for the capsizing of the Costa Concordia last January with the loss of 32 lives. This move means that Costa Cruises will not face any more criminal charges and will now aim to participate in the forthcoming trial as an injured party opening the door for the company to seek damages for the loss of the ship. A judge in Tuscany accepted the plea agreement for Costa Crociere, a division of Carnival Corporation in connection with the shipwreck off the island of Giglio in January 2012. Legal proceedings will continue Monday with a hearing to determine whether six of the line’s employees including Concordia captain, Francesco Schettino, and Mr Ferrarini, the company's crisis management chief. Captain Schettino is expected to be indicted for multiple charges including manslaughter and abandoning ship before his passengers. Although Costa Cruises has paid only €1 million in order to limit its criminal liability, the civil costs will be very much higher. Costa still faces civil lawsuits by the relatives of passengers who drowned while trying to flee the ship, as well as by survivors who have turned down the firm’s starting offer of about €11,000 per person in compensation. Italian consumer group Codacons had advised passengers to reject the offer and instead called for a €125,000 minimum for each passenger.There has been at least one seven figure settlement already to the youngest victim of the shipwreck, a 5 year old boy. Meanwhile, salvage operations continue off the cost of Giglio. By late summer it is hoped that the ship will be floated off the rocks. Could This Be Gilligan's Island? Back in the 60's a popular television show had viewers watching week after week to see what the fate would be of the shipwrecked survivors of the S.S. Minnow. They ended up on an island, much like the one in this picture following a storm. The rainbow in this image tells us that the rain is still falling, but the sun is starting to shine painting the sky with colorful streaks. The show wasn't specific about the location, but we know the small ship departed Honolulu, Hawaii and set sail for it's "three hour tour". This puts the island somewhere in the Pacific. We think that a worthy goal would be to set sail from Hawaii in search of that island. Anyone want to come along? Thanks to the popular song from that series is now stuck in my head. They held a contest to find the most popular television show theme and Gilligan's Island beat out the competition. Since the song is stuck in my head, I thought I'd pass this along to you as well so that you can join me. If you've never seen the show, and it happens to appear in syndication on a TV near you, I strongly encourage you to check it out. You too may then want to join me on a quest for some South Pacific island, even if it isn't actually Gilligan's Island, do you think you'd really care? Enjoy the video of the opening, colorized (which means it was from season 2 or 3). Catherine, Duchess of Cambridge (Catherine Elizabeth "Kate"; née Middleton), the wife of Prince William, Duke of Cambridge, has graciously accepted Princess Cruises' invitation to become the Godmother of Royal Princess. The Duchess is admired around the world for her style and grace, The Duchess has had a major impact on British fashion and was named on of "The 100 Most Influential People in the World" by Time Magazine in 2012. She is a supporter of several British charities including The Art Room, Action on Addiction, East Anglia's Children's Hospice, the National Portrait Gallery and the Scout Association. Like her namesake that debuted in 1984, the new Royal Princess is indeed a special ship, inspiring an equally special godmother. The ship will be officially named in a spectacular ceremony on 13 June 2013 in the port of Southampton, that will combine some nautical traditions, special British elements and contemporary touches. The ceremony will uphold British ship-naming traditions including the blessing, a performance by the Royal Marines Band and the pipers of the Irish Guards, together with contemporary highlights. Two preview cruises will take place (June 9 and June 14). The cruises will sail round-trip from Southampton on a two-night itinerary which calls in St. Peter Port, Guernsey. Following the inaugural voyage, Royal Princess will sail 12-night cruises out of Barcelona and Venice throughout the summer. 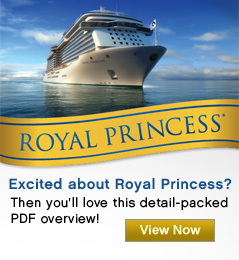 A sister ship, Regal Princess, will arrive in spring 2014. Once again a cruise ship has been forced to change its itinerary due to an electrical problem impacting the ship's propulsion. No, it's not a Carnival ship this time. They don't have the corner on problems after all. Celebrity Millennium currently on a Singapore-to-Hong Kong cruise, will be making some itinerary changes as it is forced to sail at a reduced speed until the problem is resolved. Millennium was originally scheduled to call in Hanoi (Halong Bay) on Tuesday, April 9, and finish the cruise in Hong Kong on April 11. Due to the propulsion problem, the ship will spend both Tuesday and Wednesday at sea in order to arrive in Hong Kong as scheduled. The propulsion on Millennium is different than on the Carnival Legend which suffered a similar issue about a month ago, forcing it to limp along back to port. The Celebrity Millennium-class ships have had propulsion issues over the years but they remain a solid workhorse for the line. 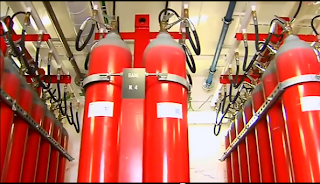 Engineers onboard the vessel are working on the problem and hopefully it won't have a domino effect on other cruises. We will continue to monitor the situation and provide updates as new information surfaces. As has become standard in the industry, Celebrity will compensate the passengers for missing their planned port. We visited the Kinderdijk during our Tulip Time River Cruise a few years back and thought we'd dust off these pictures and share them with our readers. Click here for more images. We hope you've enjoyed your short visit to this windmill in Kinderdijk. We'll share more about our visits in Holland in other posts. 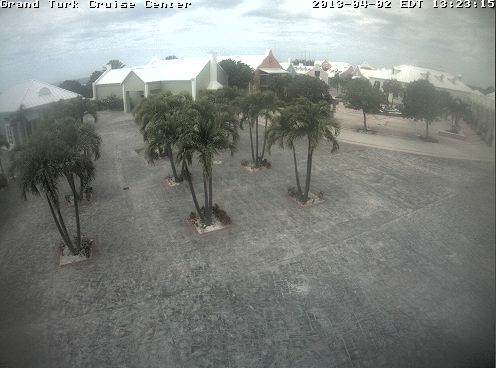 Q: What's missing in this live webcam image? This once busy cruise center has been quiet since early March due to an outbreak of gastrointestinal illness, commonly known as Norovirus. Carnival Corporation, in an abundance of caution, discontinued stops in Grand Turk for all their brands through the end of March shortly after the outbreak March 11th. Carnival Corp. confirmed that Carnival Cruise Lines and Princess Cruises ships will begin calling on Grand Turk on Monday, April 8.